Marbella unique opportunity !. Beach Bar Restaurant concession available for sale with sun bed concesion. located on the best beach in central Marbella, always busy during summer and winter months with loyal local customers as well as tourists. 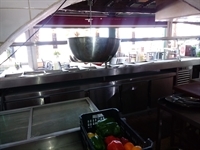 The restaurant is approximately 300m2 interior with 60m2 of kitchen and the beach area consists of 50 sunbeds to rent on 160m2 of beach front. The restaurant has space for a capacity of approximately 180 people inside and 160 people on the beach area. Rare opportunity to invest in a fantastic business with a turnover of more than 1 million Euros per year. Clients fixed year after year, throughout the year. For sale outright at 1,100,000 Euros. 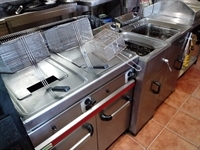 The owner is willing to remain for 2 months to assist the transition of the business to the new owner.